Let's start at the beginning. 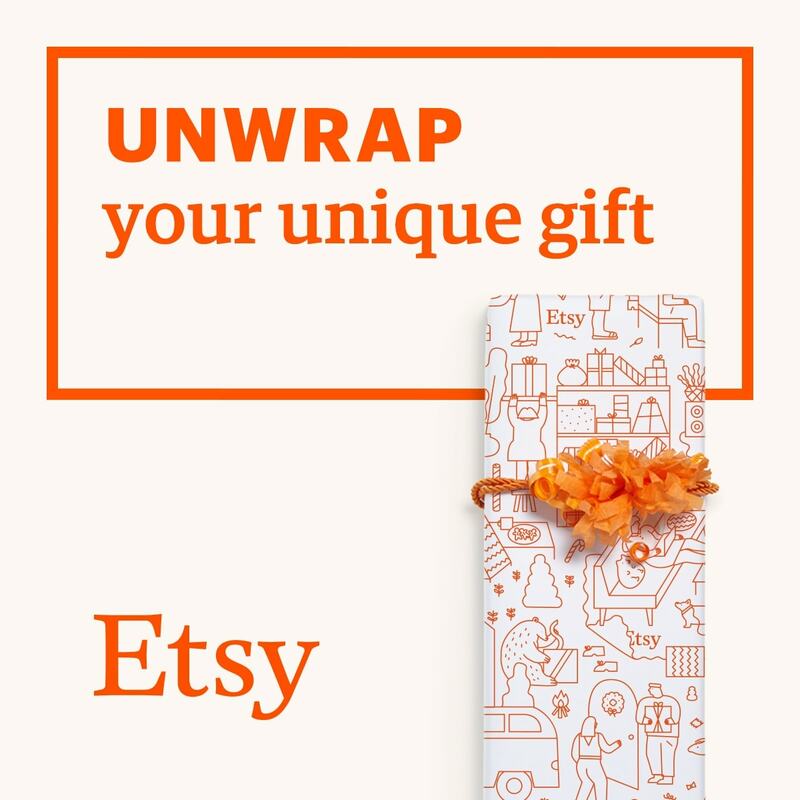 You're looking to sell your wonderful handmade pieces on Etsy. You've seen other people sell beautiful things - maybe even pieces similar to yours - and they've had hundreds of sales, and haven't even been open that long! It seems impossible, then, that your items won't sell during your first week. Your head fills with the ideas of a plumper bank account, an Etsy shop bursting at the virtual seams with products, and messages every day with praise and custom requests. A couple of months on, you've made only a handful of sales, and you're beginning to give up, or perhaps you're still planning on starting but don't know where to begin. Hopefully, this series of posts will be able to help, whatever stage you're at! So let's get on with it: first thing is first. I always recommend that you think like a buyer. You might have the perfect words to describe your items, but will people honestly search all of those words? The latin name for a plant may not do as well as the common name - which would you be more likely to search? "Bellis Perennis" or "Daisy"? Assuming that you're not some botanical wizz, you're more likely to search "daisy", regardless of the numerous types of daisies there are. This means that, while "bellis perennis" could be suitable in the tags, it has no business being in at least the first half of your title. Etsy works with relevancy now, instead of recency. It's been this way for a few months now, and I think people are getting the hang of it, but I still see silly mistakes being made. Let's look at an example. For this part, I'd like to thank ONARDs for volunteering their items. Their products are beautiful, and though the photos are a little over exposed (too much white, edges are hard to make out), I can see nothing else wrong with them. The problem here is with the titles and tags. The first three or four words of the titles are the most important. In the case of ONARDs' wonderful item, the blue starfish teabag holder, the first four words are "Ocean Blue Starfish - OOAK" - if someone's making a treasury of oceanic critters then this will be a great catch (hehe! ), but if someone is looking to buy a teabag holder, they won't find this piece without difficulty. 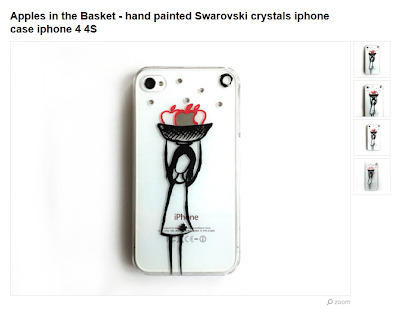 The same goes for the "Apples in the Basket" iphone case, and the Ganggangsullae Original Hand Painted" plate. So let's pick one to aid then, shall we? Eenie Meanie Minie Mo..."Apples in the Basket" it is. I love it when sellers name their products - sometimes dolls will be given full names, other times a simple necklace will be given extra charm with a unique name like "Charlotte" or something more whimsical. And from time to time I do like to search my name to see what comes up (never anything too awesome), but no one is really going to search a name when looking for something. If someone wants something personalised, the word "personalised" is more likely to be used. But let's stick to the matter! Another example is that of Lumm. 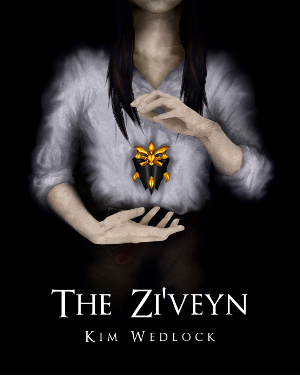 Love the name, makes me think of Rayman. Her items are lovely, but she could benefit from better photographs as well as better titles - but a future post will look at photos. Her titles are similar in that they can be improved and that occasionally there is a name that won't be searched, like "Sunrays in the Scarf" which unfortunately also covers the entire first four words. As above, the word "scarf" should be one of the first, and, in this case, the colour and method (yellow/green/crochet) alongside it. But a mistake I've seen time and time again in both titles and tags is that of including the word "handmade" or any variation thereof. There is no need at all to include such a thing. If it's on Etsy and it is in neither the vintage or the supplies section, it's generally expected to be handmade. The piece titled "Handmade Dainty Copper Large" Earrings is one that I've picked to look at more closely for both titles and tags. The title, first of all, needs to drop "handmade" altogether. It's a complete waste of characters. Otherwise, all I can really see is that it is a normal case of rearranging words. "Earrings" is the fifth word - and the most important. The second most important word, in this case, is "black" and "lace", which are the seventh and eighth words. 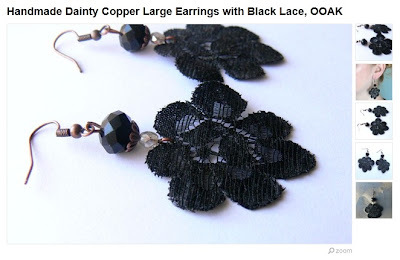 I'd rearrange this title to "Black Lace Earrings OOAK" and then go on to add the copper and the dainty - I do believe that dainty could be important in these cases. Titles are easy enough to fix. But tags are not. They can take a lot of time and can be a real pain. I hate doing them. Especially when I'm eager to get a new listing up but I'm not in the frame of mind to think very well. But nooo I can't wait, so I go ahead and fill in any old rubbish, and I think it's the same for a lot of people (not in this case, though, don't worry Annika). Instead, though, in this case, key words have been replaced with terms. The first three tags in this case have been added by Etsy, and I'm really pleased to see she didn't fall victim to something that a lot of people do. 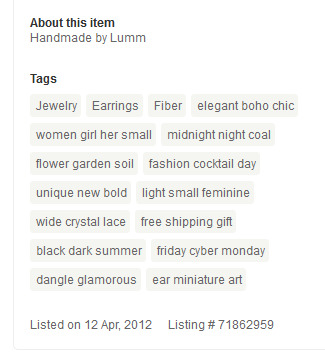 When you select the section in Etsy where your item will be listed, it's added as a tag. In this case, she added it to Jewelry, Earrings, and Fiber, meaning she didn't (and hasn't) need to add those herself. A lot of people do it - I used to do it - but I had a look at my own tags one day only to find that "necklace" and "jewelry" were added twice. So well done Annika for not falling to that one. However, tags are supposed to be words that are relevant to the listing that are most likely to be searched. This is where sellers really need to think like buyers, but where they're least likely to. In this case she's tried to add too much info. You are limited to thirteen tags on Etsy, and you really must use them well. Each word has to be able to be searched on its own, and any phrase has to be carefully picked so that it's likely to be searched, too. "light small feminine" will not be searched. People are more likely to search those words individually, but because she's added them all into one tag, she's quite likely to be missed out of the search results. The same goes for "wide crystal lace", "unique new bold" and just about every single tag she has. It might seem like a good idea to add more detail to tags like this, but it does far more damage. Instead, these keywords have become keyphrases, that will not work unless used exactly as they've been shown above. You have to choose your tags wisely. For this particular listing I'd suggest "black lace", "boho" "copper" "black" (I do believe sometimes it's a good idea to separate phrases into individual tags as well, but only if you're having trouble filling spaces, which can be the case with very simple items) "dainty" etc. And as for "women girl her small" - you don't generally need to specify that such jewellery is for women. The only time a gender really needs to be mentioned is if it is specifically for men. Tags are tricky, titles not so much, but that doesn't ever mean that it doesn't go by missed. Some titles I see consist of only three words - and sometimes those sellers can have thousands of sales. I bought from one only recently. But that doesn't mean you should follow them. My titles used to consist of about three words, but when I worked on my tags and titles in this manner, my views went up considerably. Thank you to Lumm and ONARDs for volunteering for this post. Other posts with other volunteers will be up soon, including photography help, descriptions and help for once you finally make that first sale. Disclaimer: all photos belong to the users mentioned and may not be copied without their consent. I also cannot guarantee that by following these tips that your views will rise tenfold, these are merely guidelines and suggestions to help you further yourself. So it isn't my fault if it just doesn't work for you. i never realised that Etsy added shop section tags - i'm off to check i haven't got anything tagged twice!